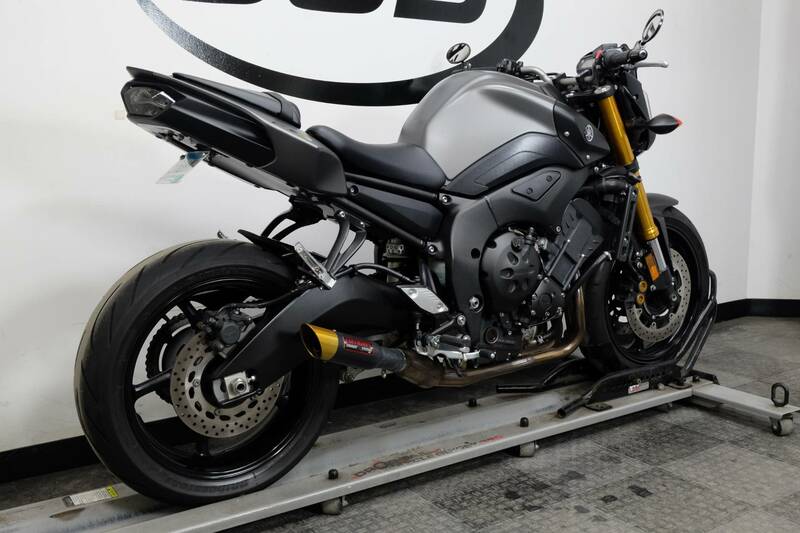 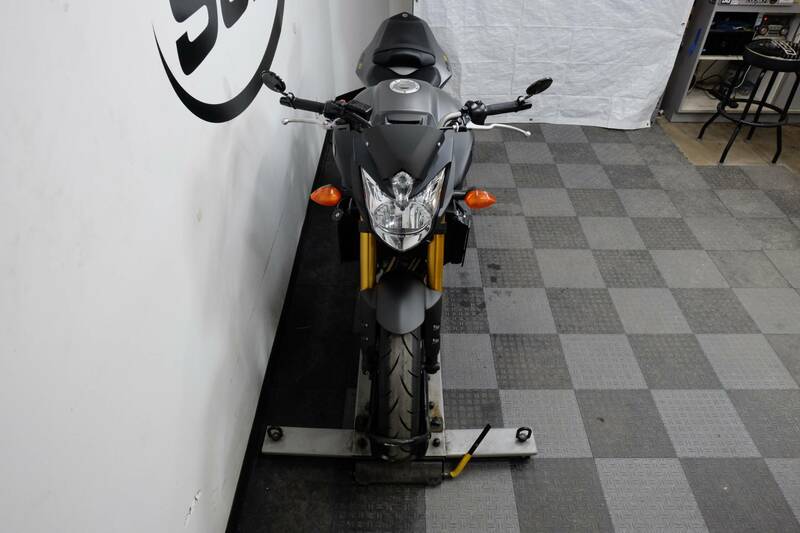 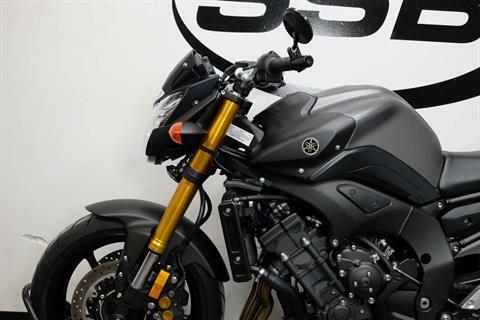 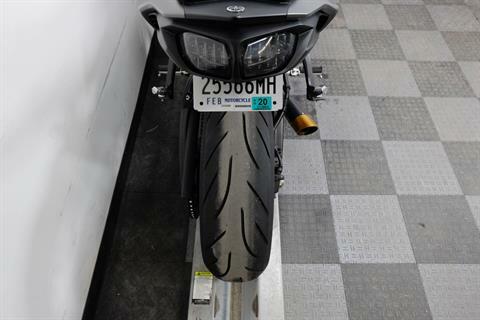 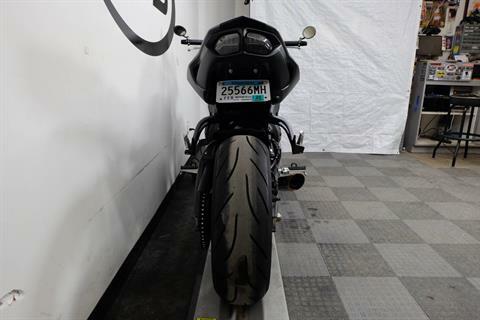 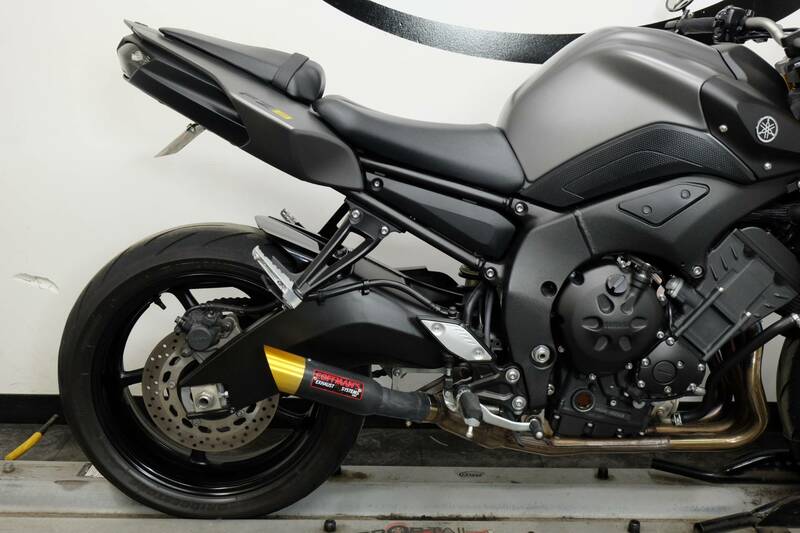 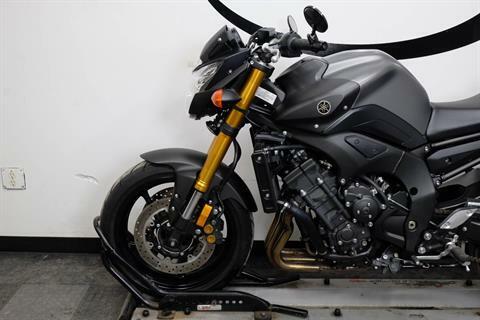 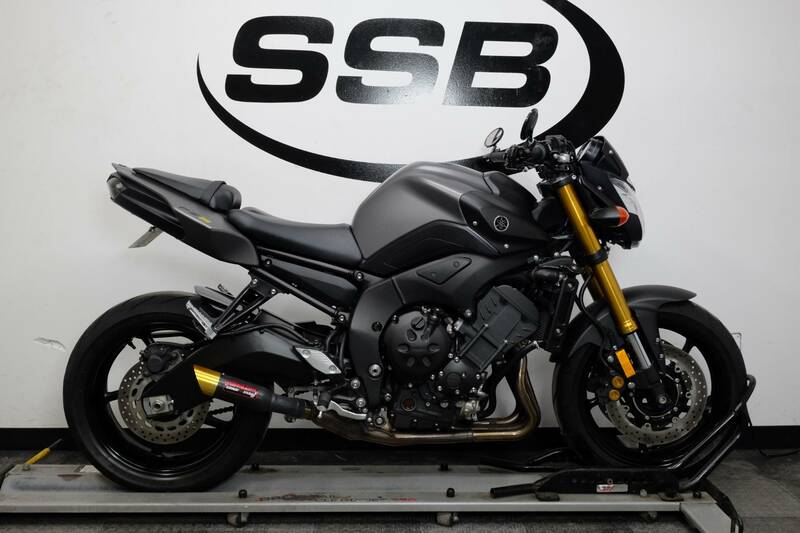 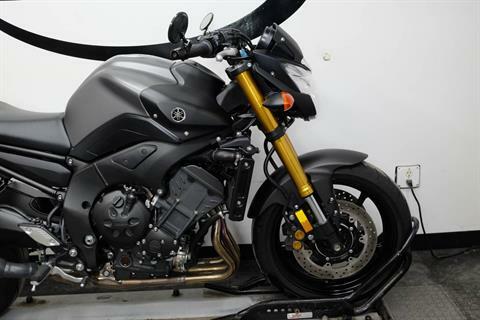 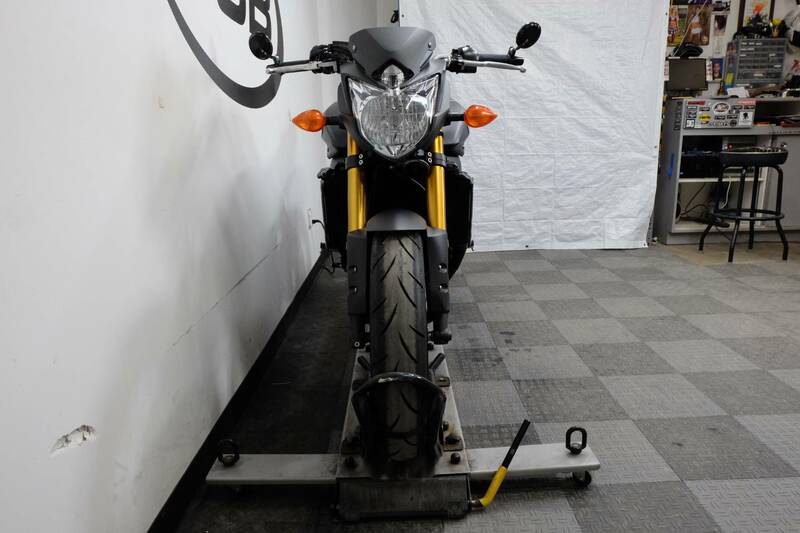 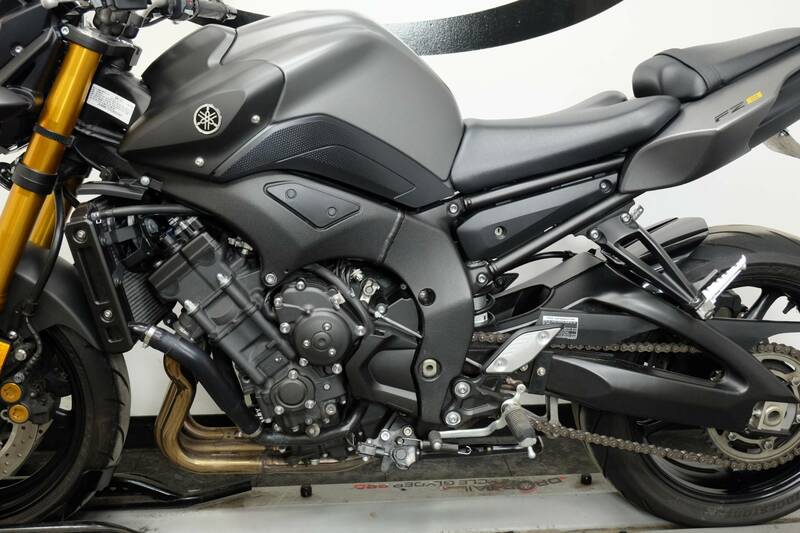 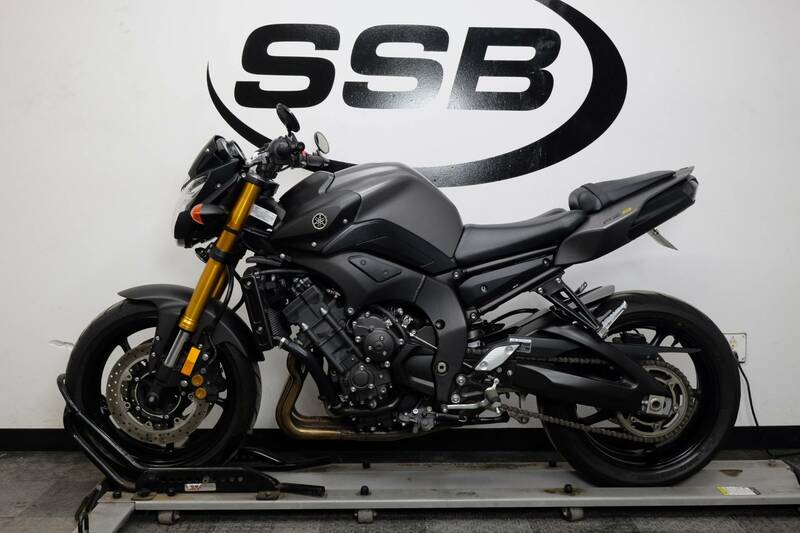 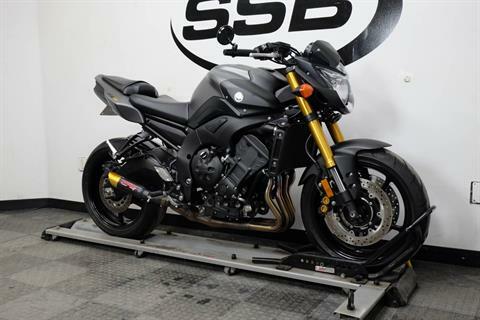 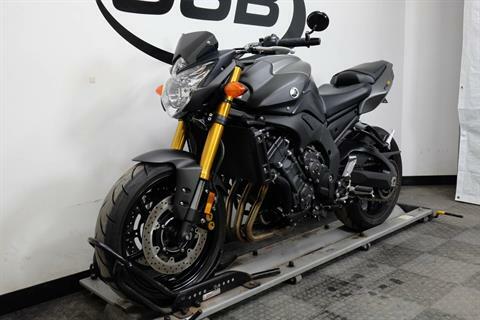 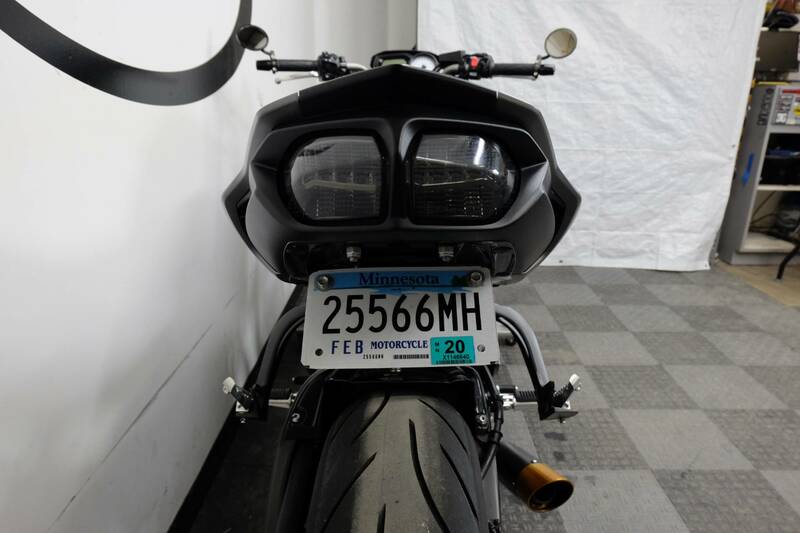 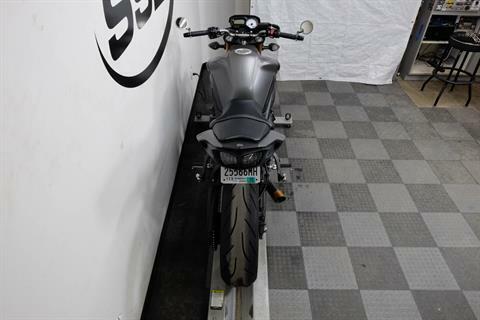 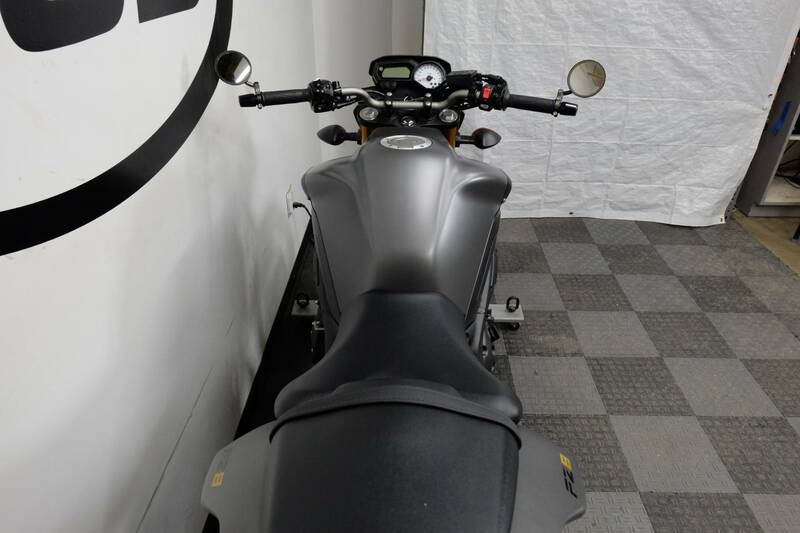 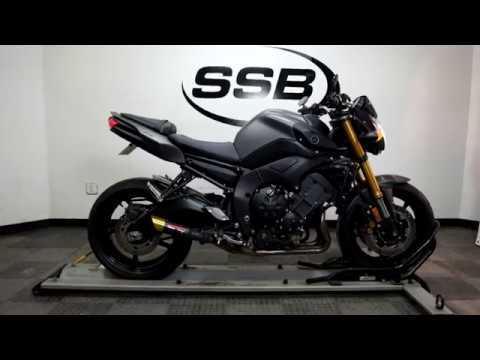 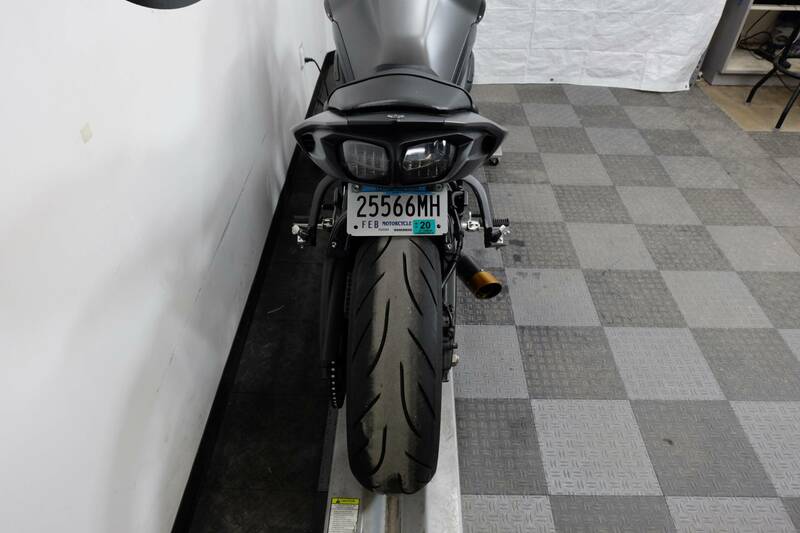 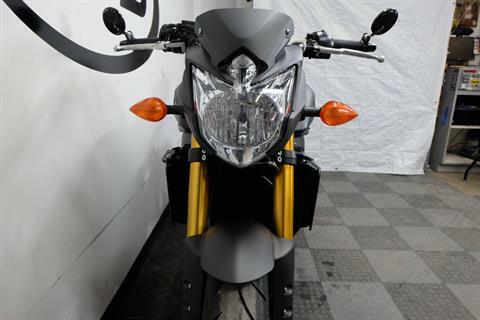 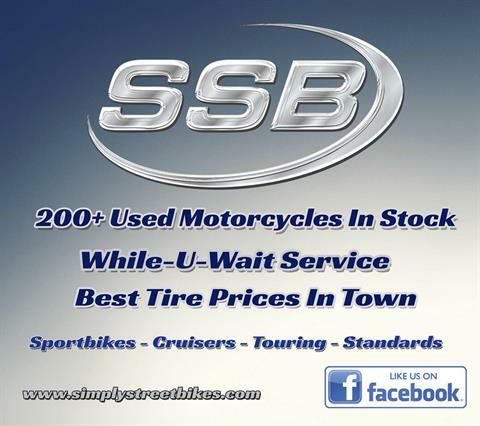 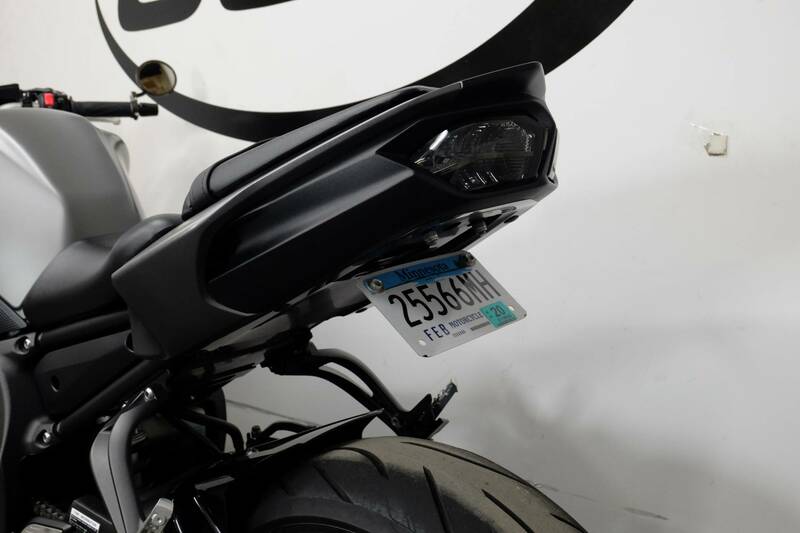 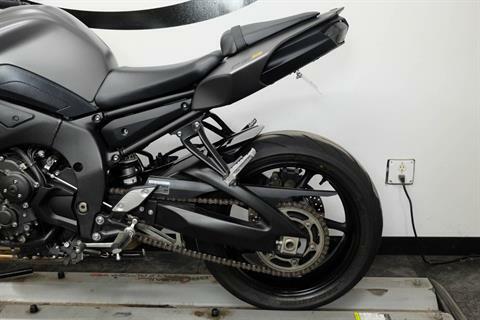 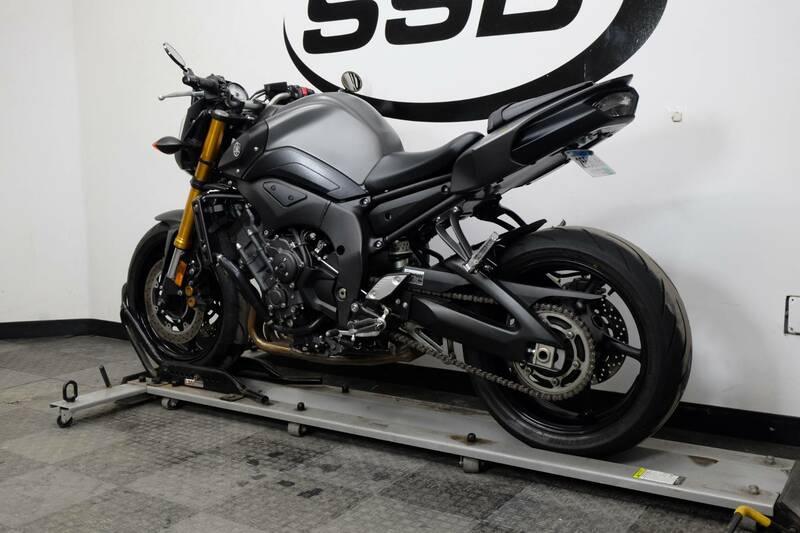 This 2012 Yamaha FZ8 is in mint condition with 11,291 miles on it. 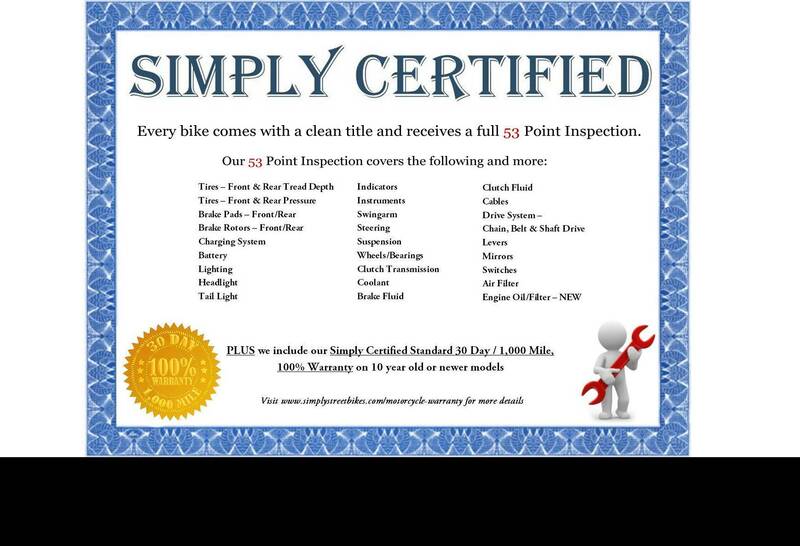 This bike is free of any tip over or laid down damage and still looks clean and sharp still. 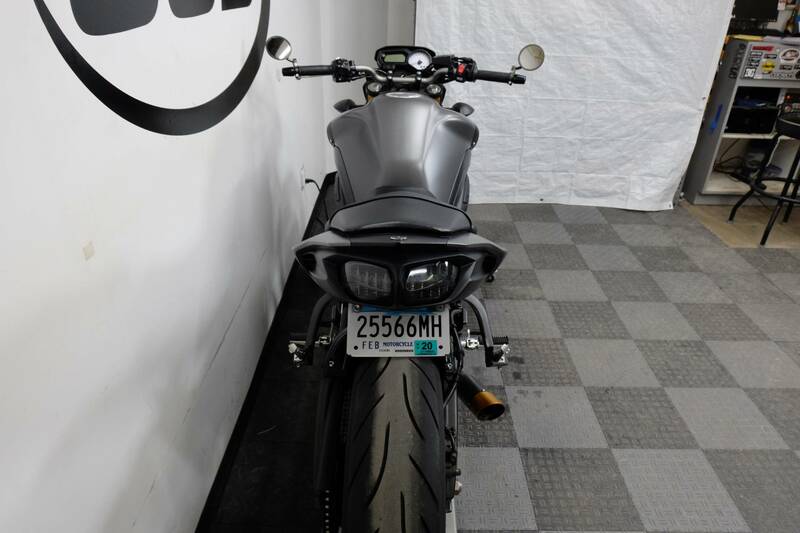 This standard style motorcycle is mostly stock other than the fender eliminator, integrated tail kit, bar end mirrors and a Coffman shorty exhaust that was installed on it, so you can customize it the way you want it. 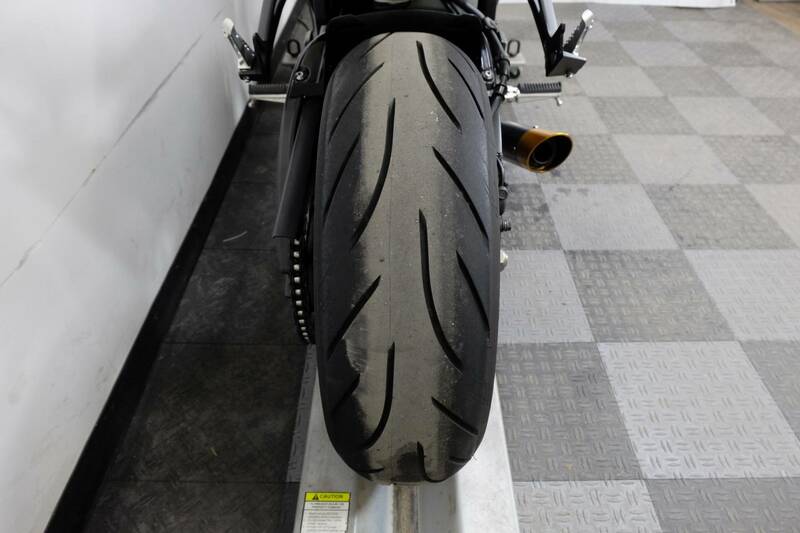 The tires on the bike are still great shape as well. This is a great naked style motorcycle for the rider who wants a clean bike and is looking to save over purchasing brand new! 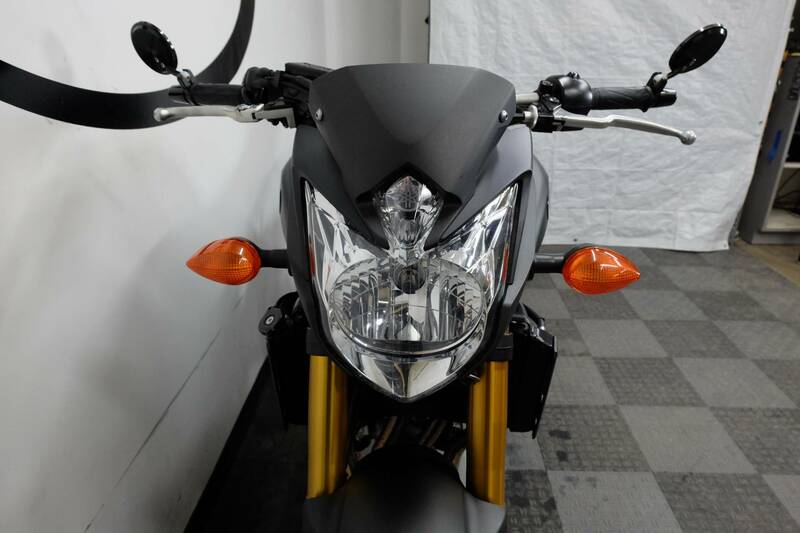 "Mass-forward" naked bike styling is accentuated by the headlight design. 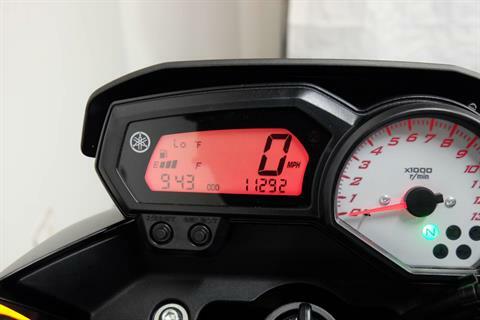 FZ1-style instrument cluster features a great looking tachometer with a white face. Cast aluminum frame uses the engine as a stressed member and allows for optimal rigidity balance, light weight, and superb handling. 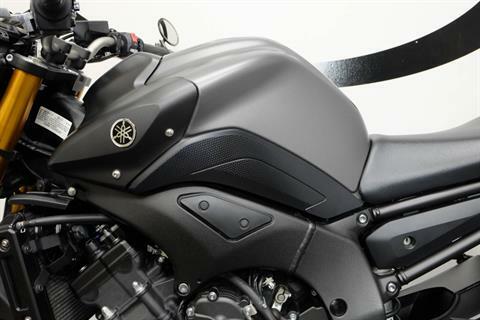 Six engine-mounting points help provide superb longitudinal rigidity. 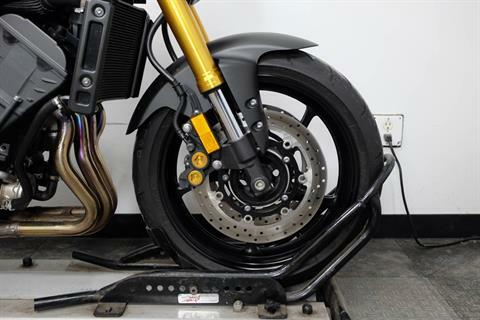 Controlled-Fill die-cast aluminum swing arm saves weight and is tuned for excellent handling. 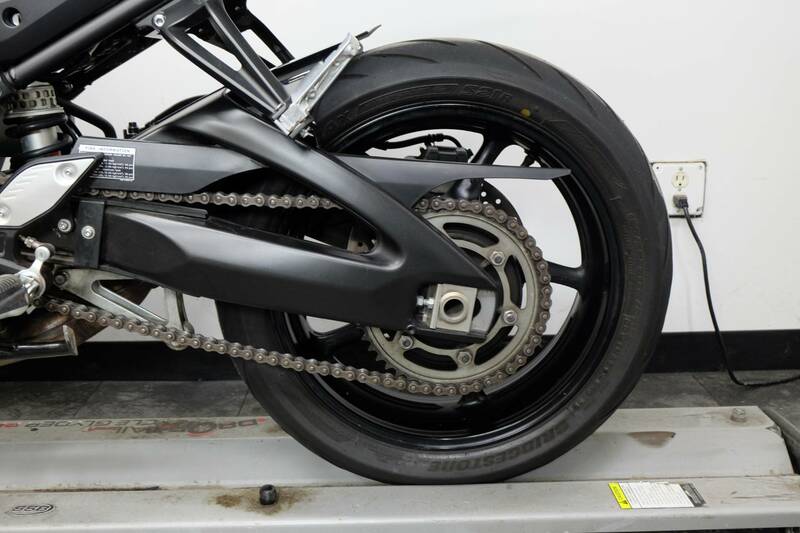 43 mm inverted fork and a link-type Monocross shock with adjustable preload for light and neutral handling characteristics. 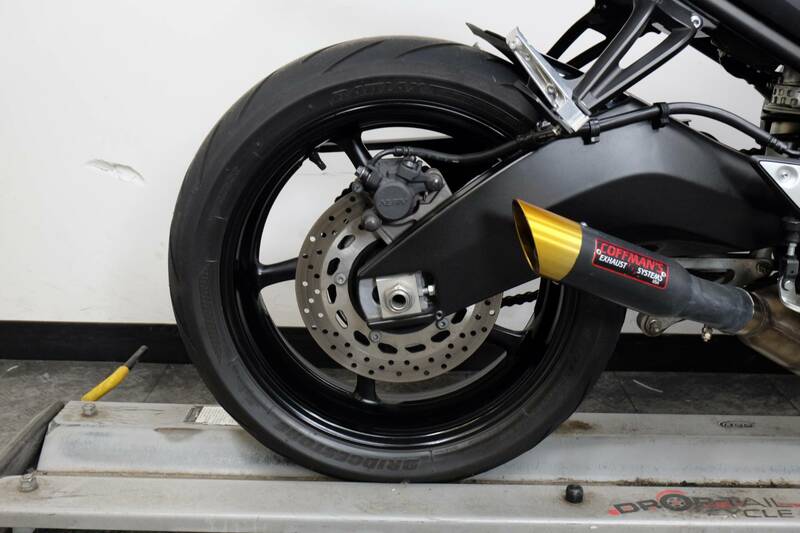 310 mm front discs, squeezed by monoblock four-piston calipers, and a single 267 mm rear disc offer strong stopping power. Aggressive chassis geometry with supersport-inspired 51 percent front wheel weight bias. Provides light, nimble handling. The generous 4.5 gallon fuel tank, is short front to back, and slender where it meets the rider. 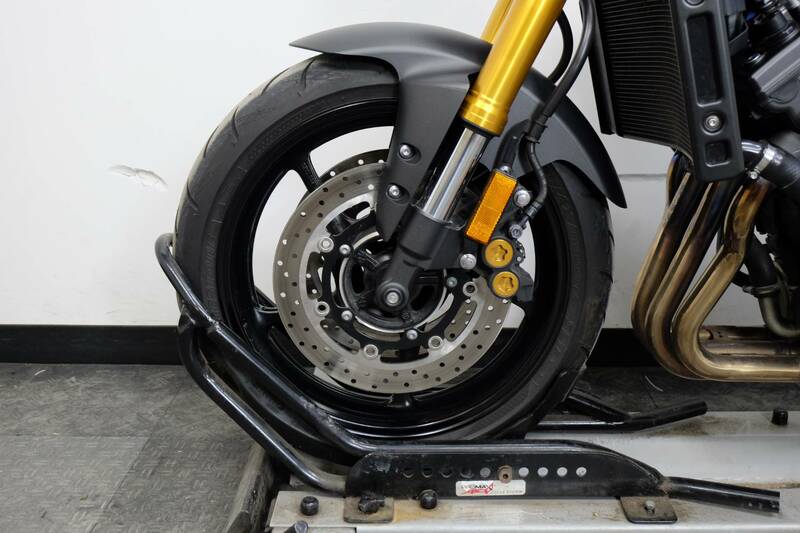 The foot pegs and handlebars are also placed for a compact, rider-forward riding position that contributes to the bike’s excellent handling. 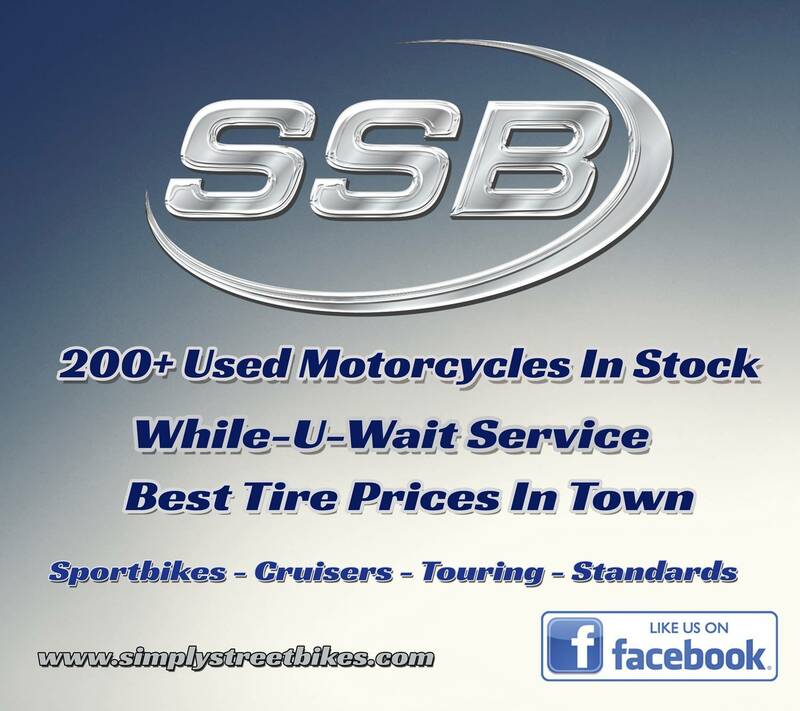 5-spoke cast aluminum wheels contribute to the light and neutral handling character. This bike sports a 120/70 ZR17 radial tire up front, and a 180/55-ZR17 rear radial to complete the look and serve up the traction. New 779 cc liquid-cooled, 4-stroke, inline 4-cylinder, 4-valve engine delivers smooth power delivery and gobs of torque in the low to mid rpm range. But this engine also lets loose with eye-opening horsepower when the revs climb toward redline. 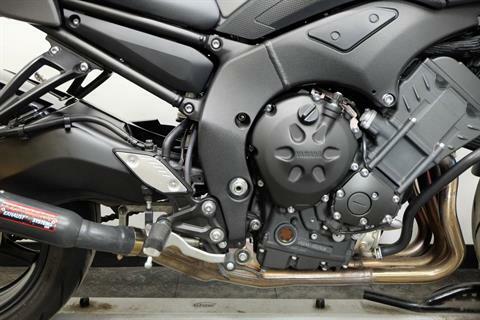 Fuel-injection with 35 mm diameter throttle bodies has optimum intake efficiency and smooth throttle response. 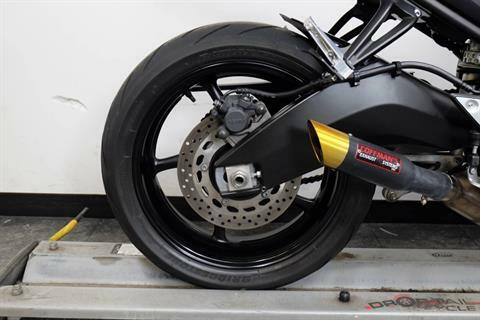 Provides precise fuel/air mixtures for awesome power delivery across the rpm range. Compact, pent-roof combustion chamber with a high 12.0:1 compression ratio with 26 mm intake valves and 22 mm exhaust valves contributes both to the superb torque and high-rpm power of this engine. 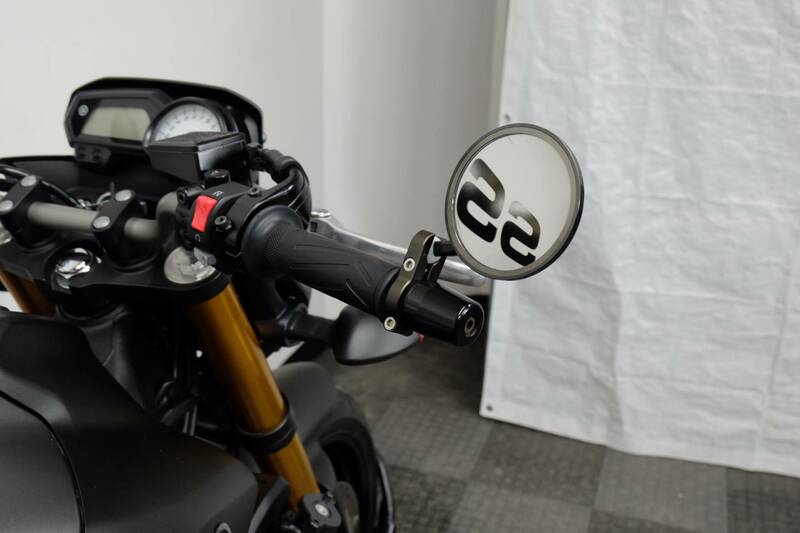 Intake funnels for cylinders 2 and 3 are 25 mm longer than the two outside cylinders. 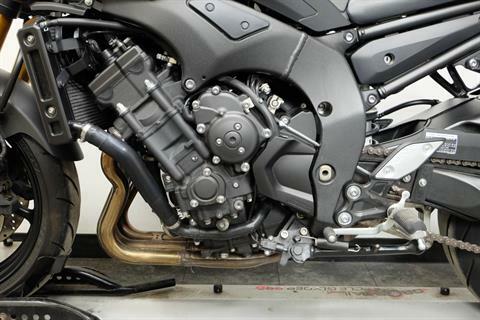 This tuning trick helps maximize the engine’s punchy torque delivery. 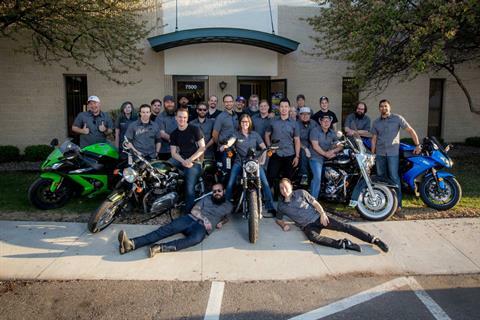 The FZ8 inherits proven R1 / FZ1 technologies, including forged aluminum pistons, fracture split carburized connecting rods, and ceramic-composite-plated cylinders. 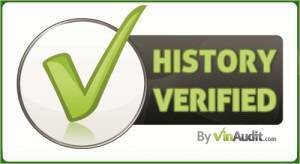 The 68.0mm bore and 53.6 mm stroke specifications were carefully chosen to maximize the strong torque characteristics, as was the new crankshaft with optimized inertial mass. 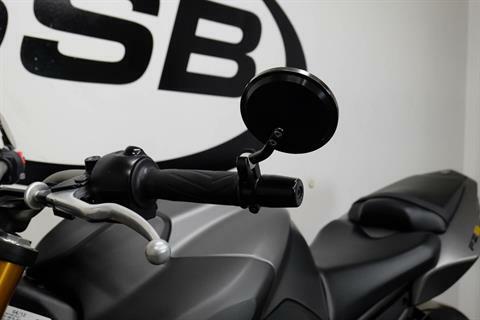 Wide-ratio 6-speed transmission has ideal ratios for the engine’s performance character. 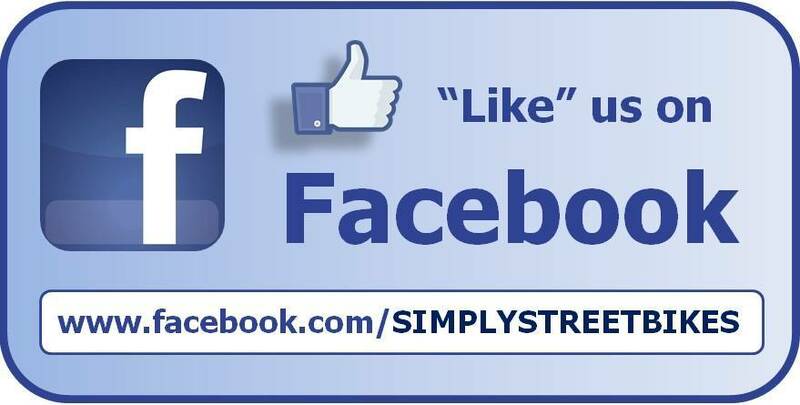 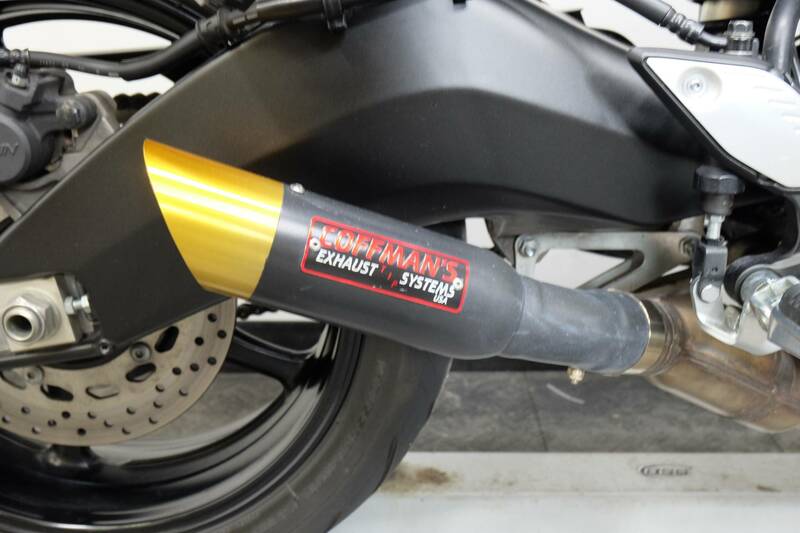 4-into-2-into-1 exhaust system looks great and includes a catalytic converter and O2 sensor. 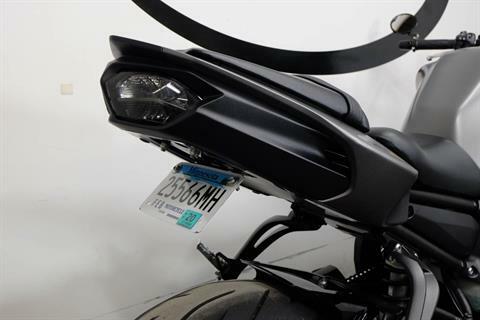 Short muffler is mounted low for great looks and excellent mass centralization. 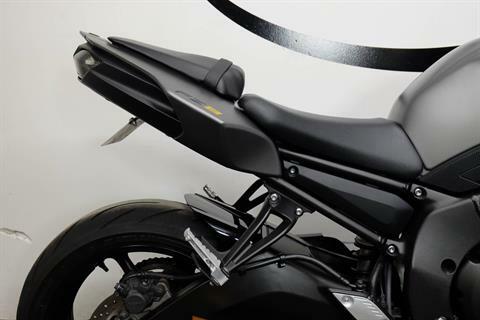 The 779 cc engine combines top end components, including ceramic-composite-coated cylinders and forged aluminum pistons, with a carefully optimized crankshaft to deliver the perfect power curve and torquey performance character for this category. 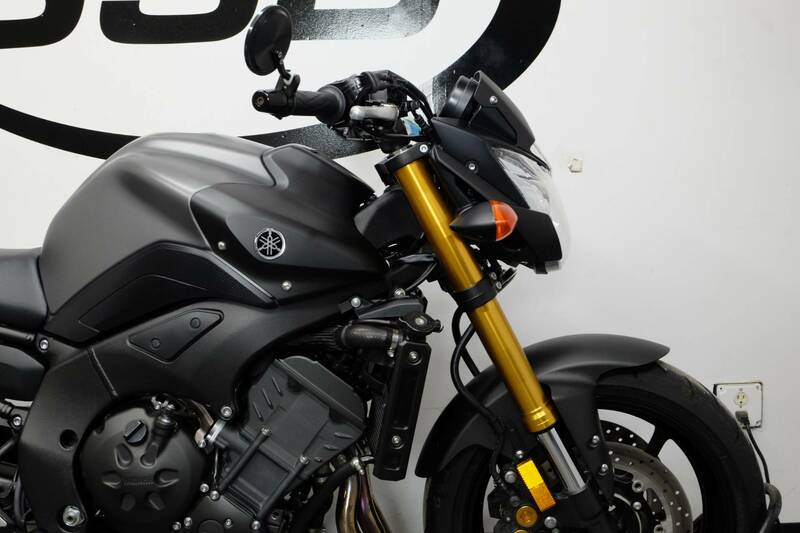 The FZ8 fills the gap for sport riders who feel a 600 cc is too small and a 1,000 cc is too big. 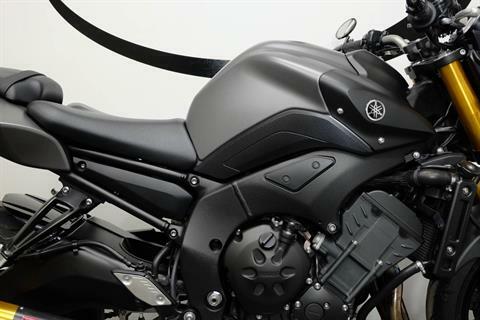 Muscular, naked bike styling gives an aggressive, mass-forward stance. 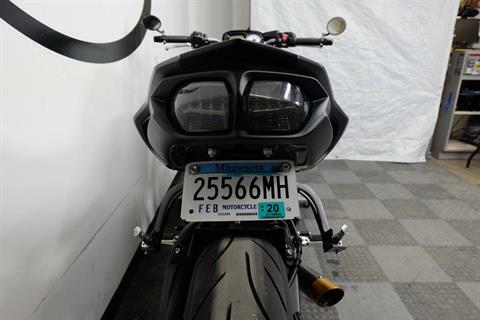 This bike screams attitude. 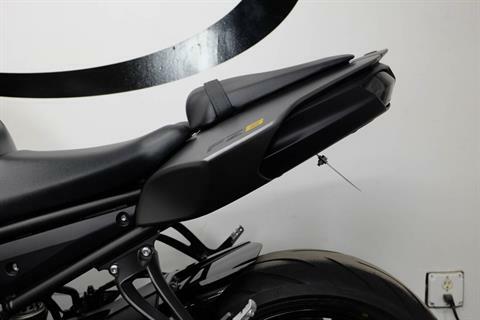 Comfortable, upright riding position with a compact design that contributes to the bike’s first-rate handling. 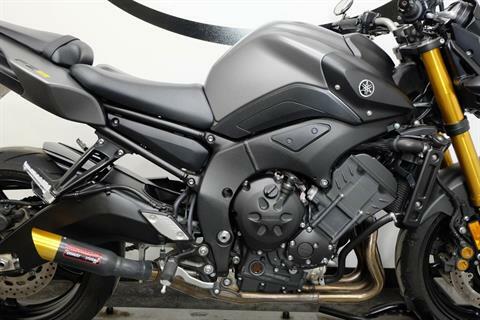 This bike simply excels, both in the morning commute and on that spirited weekend ride on a twisty back country road. 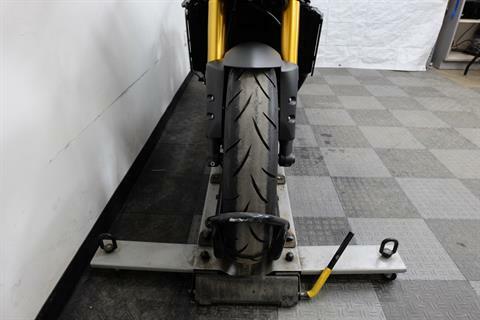 Cast aluminum frame and Controlled-Fill aluminum swingarm is lightweight and provides the ideal rigidity balance for outstanding cornering performance.